Today on The Daily Post, the photographer’s prompt is green. Beautiful photograph- I love it! Erica, thank you so very much for the comment and thanks for visiting. Great photograph! I love all the green! Ummmmm seriously? You snapped that – first, I’m impressed that you were able to pause long enough in this crazy world to notice the little fella … really – amazing 🙂 Anyhoo, just seeing what others wrote on jealousy -this is one of my favorite prompts! I saw him because he was not alone. 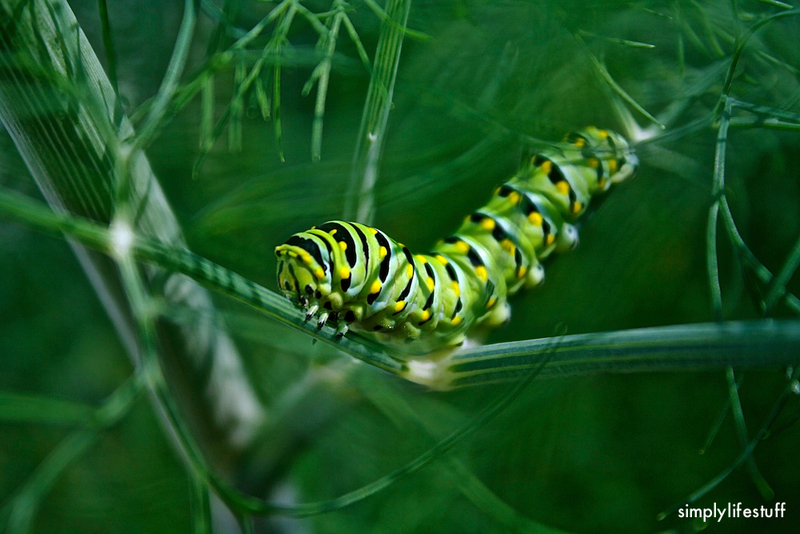 The caterpillars fell in love with my dill. Thank you for visiting and for the compliment. I am so glad. Thank you for visiting and for taking the time to comment. Love the photo Melanee! It is such a brightly coloured little fellow.